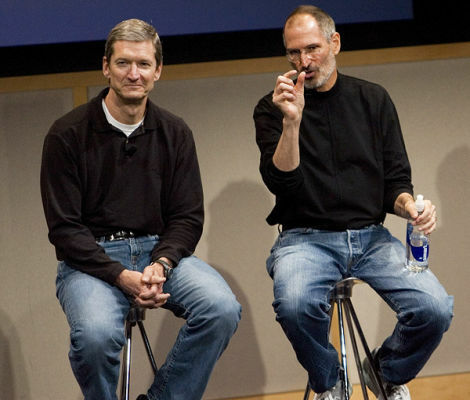 It looks increasingly like Steve Jobs' reign at Apple is over. If the CEO doesn't return from his third, indefinite medical leave, COO Tim Cook will succeed him, marking a new era not only for Apple but for gay progress. Cook, who is running Apple in Jobs' absence, has been as reticent to acknowledge his sexual orientation as he has his prowess in overseeing the company supply chain. But as Jobs fades back, and as his absences grow more prolonged and uncertain, Cook will become, by necessity, a public figure. Apple is no longer a 1980's-style computer company, segregated from broader society. Apple is one of the most powerful players in industries like publishing, music, movies, internet services, advertising, mobile communications and, of course, computer hardware and software. And the company and its leader have become cultural icons. Cook, a famously quiet and collected person, will find his backstory, both personal and professional, the topic of increasing interest and discussion in the tech community. That new attention is a good thing for a man with a reputation as fearsomely good as Cook's. Cook's rise to his position—he is one of the most powerful corporate executives in the world, to say nothing of being the most powerful gay person in tech by a mile—is also a tribute to his skill and work ethic on the one hand, and to the utterly unconventional and unconventionally empowering people skills of Jobs on the other. Job: Cook's title is Chief Operating Officer at Apple. His real job is de facto CEO, overseeing day to day operations during titular CEO Steve Jobs' indefinite medical leave. Of course, Jobs retains both his title and power, and is expected to make his heavy influence felt remotely. Background: Cook grew up in Robertsdale, Alabama, the son of a retired shipyard worker. He earned a Bachelor's degree in industrial engineering from Auburn University in 1982 and an MBA from Duke University in 1988. Before Apple, he did a stint at a computer reseller called Intelligent Electronics, worked in PC logistics for 12 years at IBM, and spent six months as VP for Corporate Materials at Compaq. He joined Apple in 1998 as senior vice president of operations, overseeing computer manufacturing. Cook was later promoted to chief of worldwide sales and of the Macintosh division. 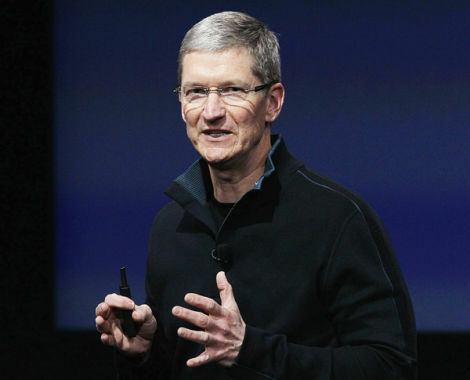 Wealth: Cook has sold or accumulated upwards of $136 million in Apple shares. How he got the job: Cook joined Apple in 1998, shortly after Jobs' return to the company, after withstanding Jobs' withering interview gauntlet. Jobs had rejected a string of other operations managers before meeting with Cook. In fact, one other executive from Cook's old company, Compaq, reportedly lasted only five minutes before Jobs walked out on him. Cook's "unflappable" demeanor may have been what sealed the deal with Jobs. "Steve is very focused on people he can connect to emotionally," a recruiter present at the meeting later said. His successes: Cook made his mark early on by fixing Apple's notorious manufacturing inefficiencies: He arranged to have suppliers physically adjacent to Apple factories, thereby reducing inventory—which he considers "fundamentally evil"—to six days from 31. He closed far-flung Apple factories and warehouses and shifted to contract manufacturers. And he helped the company accurately predict demand for unreleased products, as when he prepaid $1.25 billion to corner the market for years to come on a particular type of flash memory that would prove crucial in forthcoming Apple devices. These operational improvements have given Apple the agility necessary to make quick, dramatic changes to its products, like when it switched the entire computer line to Intel chips in 2006. Cook also kept the company on track as Apple's interim leader during Jobs' 2004 two month medical leave and during his six month leave in 2009. His steady hand kept iPhone 4 and iPad development on track, grew Macintosh sales and strongly rallied the stock. His temperament: Calm, quiet — and deadly. His southern accent and "courtly demeanor" can disarm subordinates, and Cook never raises his voice, but his default frown and long, uncomfortable silent stares hint at the demanding leader underneath. He is said to keep an exhaustive catalog of details of Apple's operations in his head and expects his charges to do the same. "I've seen him shred people," a former colleague told Fortune in a lengthy 2008 profile. "He asks you the questions he knows you can't answer, and he keeps going and going. It isn't funny, and it's not fun." Work habits: Voracious. Cook is described as a workaholic who begins emailing his underlings at 4:30 am each morning and eschews Apple's famously good cafes for an endless series of energy bars, which he'll often devour during meetings. The COO prides himself on being the first into the office and the last one out. At IBM, he volunteered to work in the factory on Christmas and New Year's day. He expects similar commitment from others; Cook once dispatched an underling straight from a meeting at Apple headquarters in Cupertino to the airport bound for China, without time even to pack a change of clothes or figure out a return date. "Why are you still here?" was Cook's goodbye, delivered in the middle of the meeting. Shortcomings: Cook is not known as a product visionary or for shepherding projects through Apple's rigorous development pipeline. 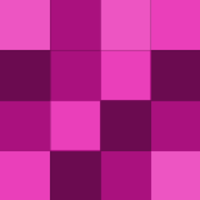 For those sorts of tasks, Jobs' heir apparent is design chief Jonathan Ive, principal designer for the iMac, iPod, iPhone, and iPad, among other groundbreaking products. Cook is also not known as a compelling public speaker, which is probably why marketing chief Phil Schiller has handled the unveiling of new Apple products during Jobs' past absences. The future: Cook has been with Apple for 13 years now and given his new role at the company, it's not expected that he's making plans to leave in the future. That said, he's reportedly been wooed by both Motorola and Dell, and possibly HP. Interests: Cook is a "fitness nut," in the gym by 5 am, often on the hiking trail and even more often on his bike. The avid cyclist is an admirer of Lance Armstrong, quoting the seven-time Tour de France winner regularly during Apple meetings and even reportedly modeling his close-cropped haircut after the rider. Like Jobs, Cook is a Bob Dylan fan, and at one point, at least, kept a picture of the singer in his office, alongside a shot of Bobby Kennedy. His truest loyalty, beyond even Apple, may be to the Auburn Tigers football team, whose memorabilia is said to stud his home and office. Social style: Cook is relatively withdrawn. A former college classmate described him as "not a real social person...He just never seemed that interested in other people. I'm a hugger and a kisser, but I'd never feel comfortable giving Tim a hug or a kiss." Romantic interests: After Cook was profiled as a "lifelong bachelor" and "intensely private" elsewhere, we wondered if he might be gay. We've since heard from two well-placed sources that this is indeed the case, and it sounds like Cook's sexual orientation has been the topic of at least some discussion within the company. 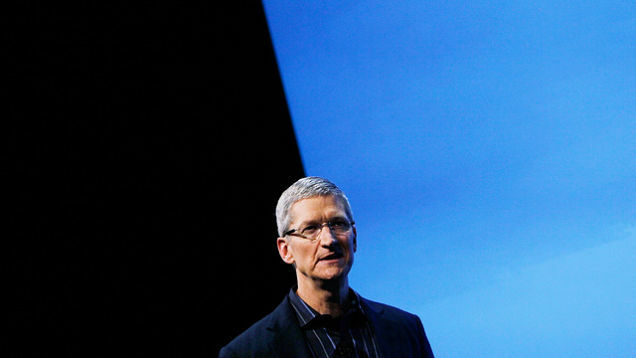 One tech executive who has spoken to multiple Apple management veterans about Cook was told executives there would support Cook if he publicly acknowledged his orientation, and even would encourage him to do so as he steps up his leadership role, but that they also had concerns about whether his coming out would impact the perception of the Apple brand. Cook would be, by far, the most powerful openly gay executive in tech, trailed by Microsoft's openly lesbian HR chief Lisa Brummel and by Megan Smith, the former PlanetOut CEO now working as Google's vice president of new business development. Relationships: If Cook is in a long term partnership, he's kept it well hidden. Given his brutal work schedule, though, it's hard to imagine how he'd find time. Still, he's got enough experience to have developed some preferences; our tech executive source claims Cook is into Asian guys, a tidbit that prompted another tech observer, with whom we shared the item, to propose some strategic matchmaking that would pair Cook with Google hotshot Ben Ling. It's an inspired match: Perhaps the coupling could build a bridge between two corporate nemeses. Darkest moment: Cook was misdiagnosed with multiple sclerosis in 1996, an experience he later said made him "see the world in a different way." He now helps raise money for the disease. Signature look: Cook serves on Nike's board, which is why you'll see him sporting Nike shoes under his jeans around the Apple office.